Looking to study adult nursing in Exeter? The Exeter School of Nursing Open Day is your opportunity to discover more about our leading BSc (Hons) Nursing (Adult) course delivered at our new Exeter campus. 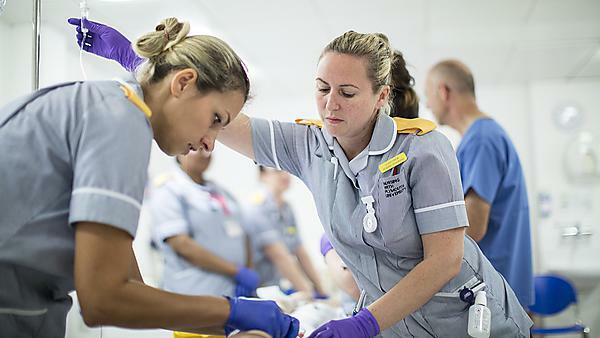 Chat to academics, existing students and other university support areas while exploring the campus and taking part in a mock exercise in our Clinical Skills Ward. If you are pressed for time and only have a couple of questions to ask please feel free to attend our drop in session from 13:15 where our students and academics will be on hand to advise. The Open Day will give you the opportunity to gather more information about the facilities and resources available to you at The Exeter School of Nursing. Discover more about the modules available to study and meet NHS Trust representatives who can advise on your future career. 13:15 – drop in session and your opportunity to ask any questions related to student finance, admissions, University life or the Exeter campus. For any enquiries about the Open Day please contact healthinterviews@plymouth.ac.uk.